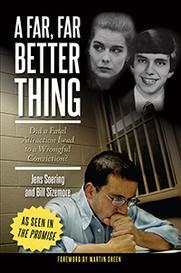 Jens Soering is a German man who’s been in Virginia prisons for nearly thirty years. There’s growing evidence he did not murder his girlfriend’s parents when he was a student at the University of Virginia, but his request for a pardon from the governor has dragged on for more than two years. 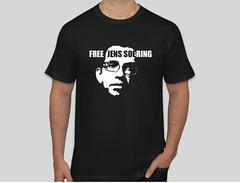 Now, several celebrities are joining the fight to have Soering released. Grisham knows Ada, Oklahoma isn’t the only place these things happen, and he’s now lending his name to a Virginia case involving Jens Soering, a former honors student at the University of Virginia who got involved with an older student from Bedford County – a woman who made no secret of wishing her parents dead. Soering initially confessed to killing them, but later insisted he had done so only to protect his girlfriend from execution. No forensic evidence put Soering at the scene of the crime, but DNA now identifies two other men who might still be at large. That worries Jason Flom, founder of the Innocence Project.